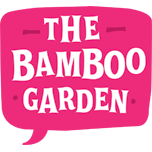 Jennifer Lam is the founder and managing director of The Bamboo Garden. Regarded as one of Australia's top food bloggers, Jennifer is an early adopter in recognising the power of social media and blogging for businesses. Her entrepreneurial spirit, passion for emerging technologies and eye for creative detail helps The Bamboo Garden's food and lifestyle clients to bridge the gap between embracing digital opportunities and marketing ROI. What Do Customers Really Want on a Restaurant Website Homepage?